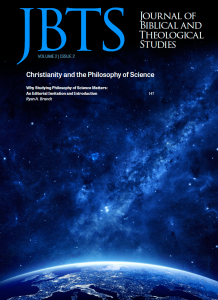 This special issue of the Journal of Biblical and Theological Studies features articles exploring contentious but important topics within the philosophy of science. It represents views from across the spectrum of evangelicalism. 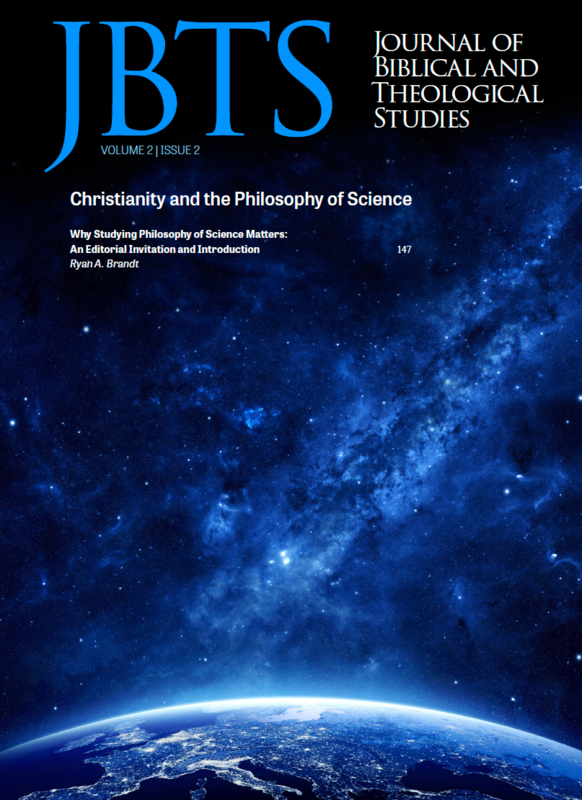 In keeping with the mission of JBTS—to relay content that is original and yet accessible—this issue will contain not only a diverse range of viewpoints but also unique writing styles that are addressed to different audiences; accordingly, some articles are more philosophically heavy and scholarly and others more approachable and readable. In sum, the issue offers a set of distinct contributions from varied backgrounds and positions, which make this issue a useful overview for students and an impetus for serious scholarly reflection. With an intent to address students and laymen and yet not exclude scholars, this editorial introduction will introduce the reader to three things. First, it will briefly explain the nature of philosophy of science. Second, it will address why philosophy of science is a subject worth studying, particularly for those in the biblical and theological fields. Third, it will provide an abbreviated introduction to the articles in this special issue.